So you’ve decided that medical record digitizing services are for you and your practice, and you want to find the best service out there. How do you go about that? Well here’s a look at some tips you can use while on your hunt so that you find the right medical records digitizing services provider for your needs. What is your goal? In order to pick the best service for your practice it’s important to think about what your goal is. You will want to jot it down too so you can go over it with potential medical records digitizing service providers. Do you want to be able to access medical records remotely, do you want your records to be organized in a simpler manner, do you want to be able to search and find information faster? No matter what your goals are, they are important. What is your budget? No one likes to think of cost as a deciding factor but if you’re going to be opting for medical records digitizing services, it’s important to pick one in your budget so it doesn’t end up hurting your bottom line. How much work do you want to put in? Do you want a document scanning service that takes care of things from start to finish, virtually freeing up all your time, or are you prepared to do some of the work? How seriously does the service take confidentiality? In the medical field confidentiality is among the top priorities so you need to know that all your documents are being scanned in a confidential manner. Not only should data be kept private, but it should also remain secure. Will the services provided increase your functionality? You want to make your life easier, not harder, so be sure that is what will happen. Accuracy is of the utmost importance, which means all scans should be high quality. eRecordsUSA is specialized in providing Medical Records Digitizing Services / Medical Records Imaging Services / Medical Records Scanning Services / Medical Records Digitization Services. 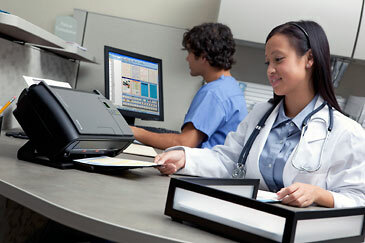 If you would like to receive a free quote to scan your medical records? call +1.855.722.6669 or eMail us at info@eRecordsUSA.com. eRecordsUSA offer medical records digitizing service in following areas of California, Silicon Valley, San Francisco, Redwood City, Marin, San Mateo, San Jose, Mountain View, Santa Clara, Sunnyvale, East Bay: Milpitas, Alameda, Dublin, San Ramon, Fremont, Concord, Contra Costa, Oakland, Pleasanton, Livermore, Hayward, Napa Valley: Fairfield, Sonoma, Vallejo, Santa Rosa, Pittsburg, Petaluma, Solano & Martinez.